Hives is an itchy rash. The shapes of hives are variable. Sizes of hives vary from ½ inch to several inches across. 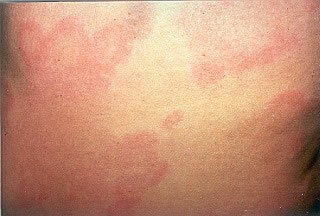 Hives may disappear in one area and then reappear somewhere else, over the course of several hours.